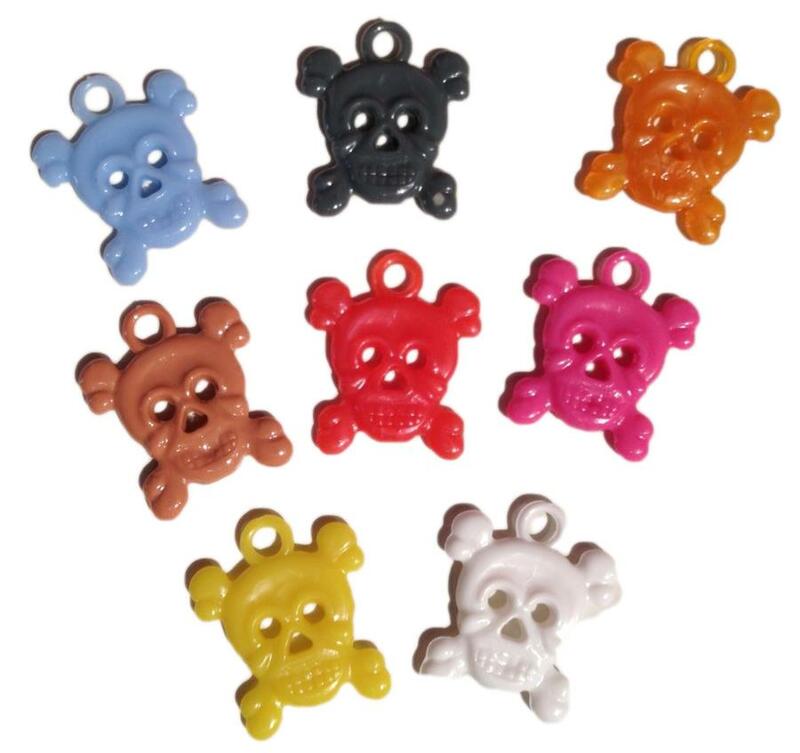 Cute plastic skull charms to use for whatever you think needs more zip to it. Fun to sew on stuff, use in jewelry, or whatever your creative side comes up with. Measures 1 1/4" by 1", 1/8" thick.